The oldest son of former Alaska Gov. Sarah Palin told a judge he appreciated the opportunity to participate in a therapeutic program for veterans stemming from an assault case. Shortly afterward, the judge decided Wednesday that new assault allegations against Track Palin disqualified him from the program and ordered him to spend a year in custody. The 29-year-old Army veteran must report to a halfway house at month’s end, and the Department of Corrections will determine if he serves time there or behind bars. Anchorage District Attorney Richard Allen said jail time is unlikely. Palin was arrested Friday night after a female acquaintance said he hit her in the head. It came less than a year after he was arrested in an attack on his father. Palin pleaded guilty in Alaska Veterans Court to a lesser charge in the earlier case. The oldest son of former Alaska Gov. Sarah Palin will spend a year in custody after a judge decided new assault allegations disqualified him from a therapeutic program for veterans linked to another assault case. A judge told Track Palin on Wednesday that he was dropped from the program offering veterans mental health treatment instead of a traditional sentence. Former Alaska Gov. Sarah Palin’s oldest son has appeared with his father in court in a case stemming from allegations that Track Palin attacked his father. A judge will decide whether new assault allegations against Track Palin should lead to jail time or whether the 29-year-old Army veteran can stay in a therapeutic program for veterans tied to the attack on Todd less than a year ago. Track Palin pleaded guilty in Alaska Veterans Court to a lesser charge in that case. He was arrested Friday night after a female acquaintance said he hit her in the head. A judge will decide whether the new arrest violates conditions in the December case. 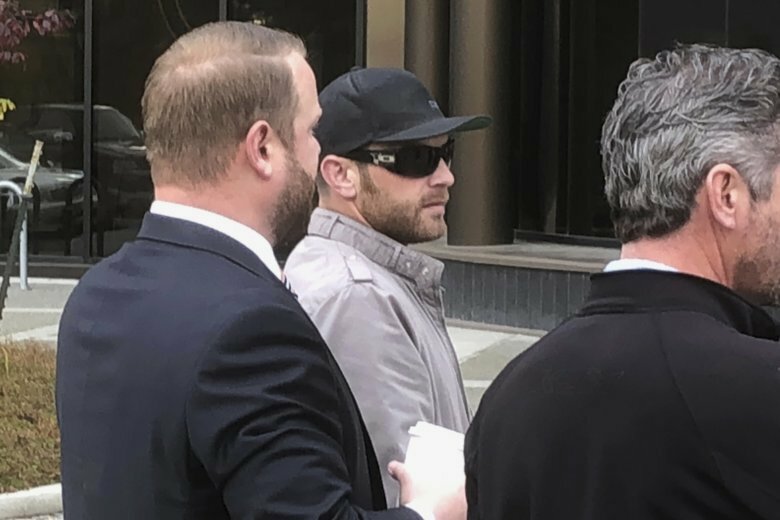 A judge will decide whether new assault allegations against Track Palin should lead to jail time or whether he can stay in a therapeutic program for veterans tied to a separate assault case. Former Alaska Gov. Sarah Palin’s oldest son was arrested Friday night after a female acquaintance said he hit her in the head. He faces misdemeanor charges including assault, resisting arrest and disorderly conduct. The 29-year-old Army veteran is set to appear in court Wednesday in Anchorage. A judge will decide whether Track Palin can stay in a program intended to rehabilitate veterans or serve jail time because the new arrest would violate conditions in the previous case. He was arrested in an attack on his father last December and pleaded guilty to a lesser charge in Alaska Veterans Court.